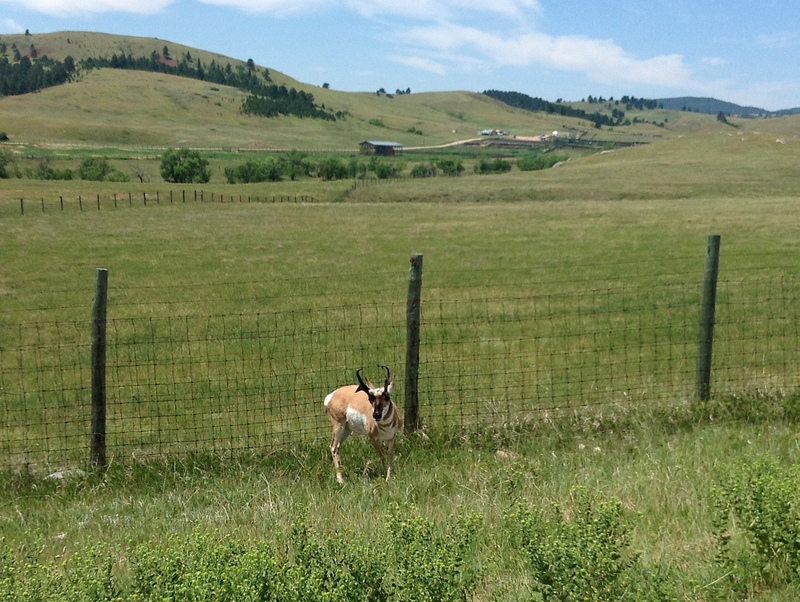 The safari included glimpses of wildlife, such as this pronghorn. Sorry, no zoom lens on the iPad. Our driver said the pronghorn is the fastest land mammal in the Western Hemisphere. They can run 60 miles per hour! 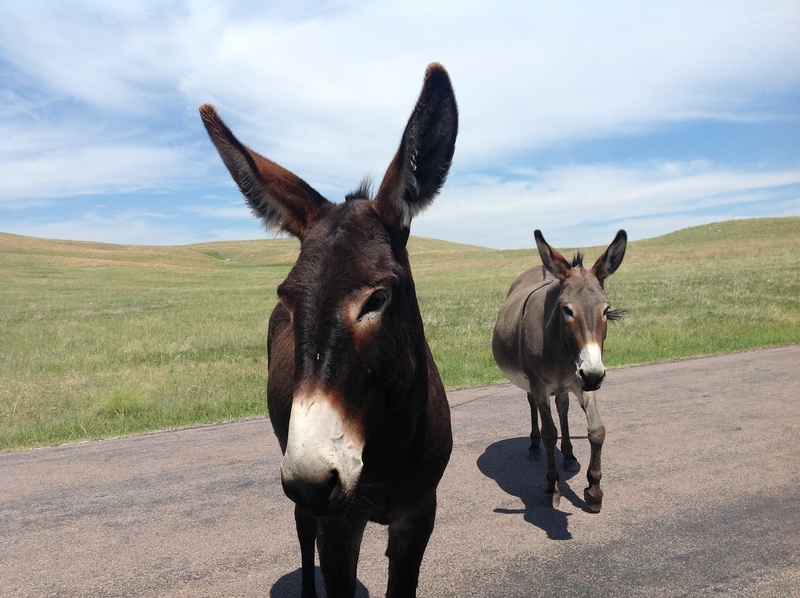 Sweet mules came right up to the Jeep looking for food. . . . Speaking of sweet, we found out from one of my cousins that there was a pie shop in Custer that served the best pie à la mode. She was right! This blackberry pie was some of the best I’ve ever had. Wonderfully flaky crust, berries that were neither too tart nor cloying; unbelievably creamy vanila ice cream that complemented perfectly. I’d love to have some right now. Hope your week’s going well. . . . 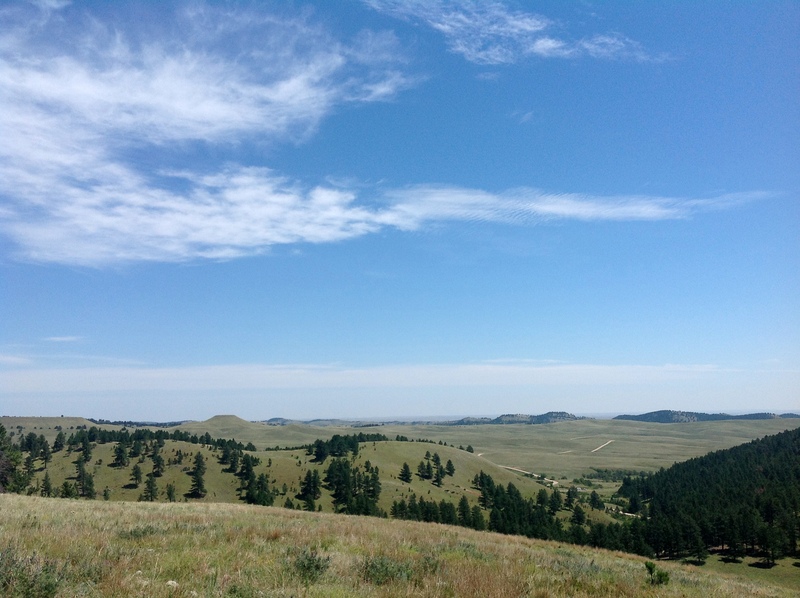 This entry was posted in photography and tagged Black Hills, blackberry pie a la mode, buffalo, Custer State Park, Gobblers Knob, mules, pronghorn, Purple Pie Place. Bookmark the permalink. Oh I’ve been to the Purple Pie Palace – great place. I love the purple pig out front! LOL! Yes! You can see him if you look closely on the left. 🙂 Thanks so much for dropping by. 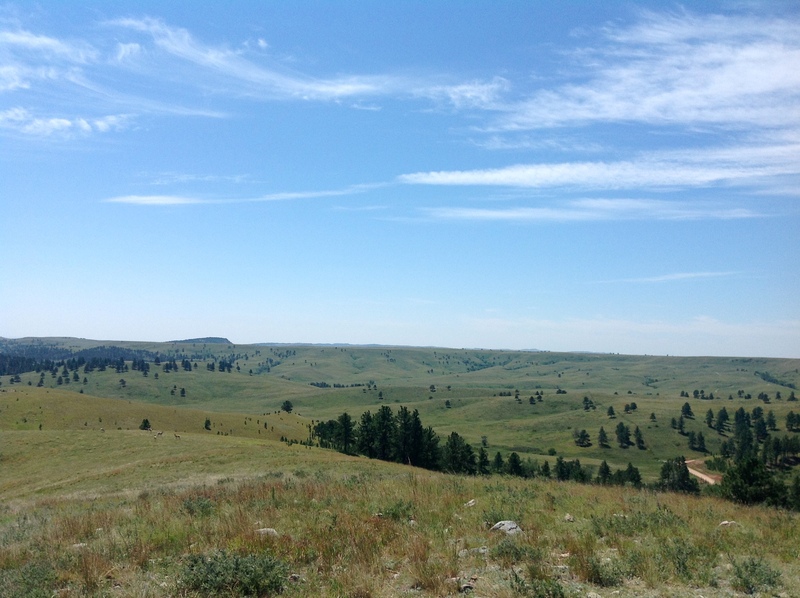 The scenery really reinds me of some Westerns I’ve seen. Almost puts me in the mood for Rio Bravo. 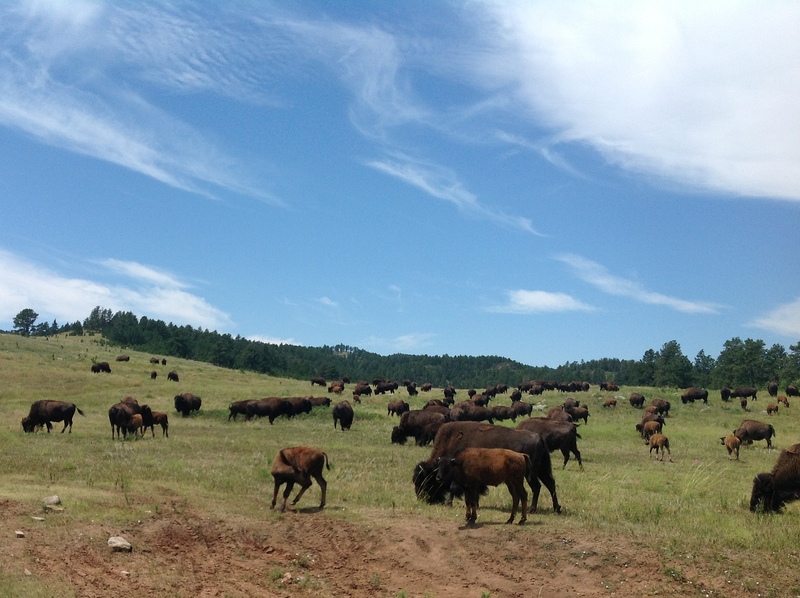 Funny the bison look quite small. I thought they were really imposing. Bison are quite big for the most part, but I captured quite a few of the newborns. We were pretty far away too. They are unpredictable and can be dangerous. Thanks, Cheryl. 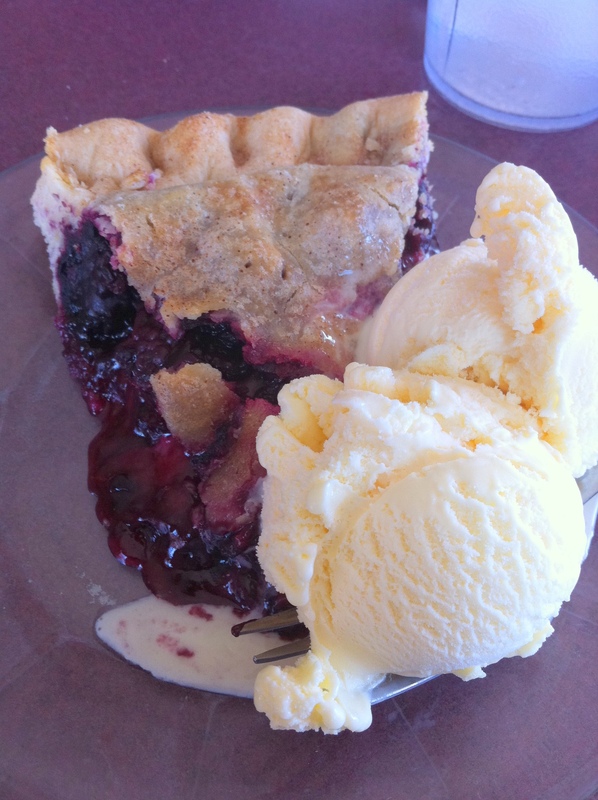 I had not tasted blackberry pie in years. 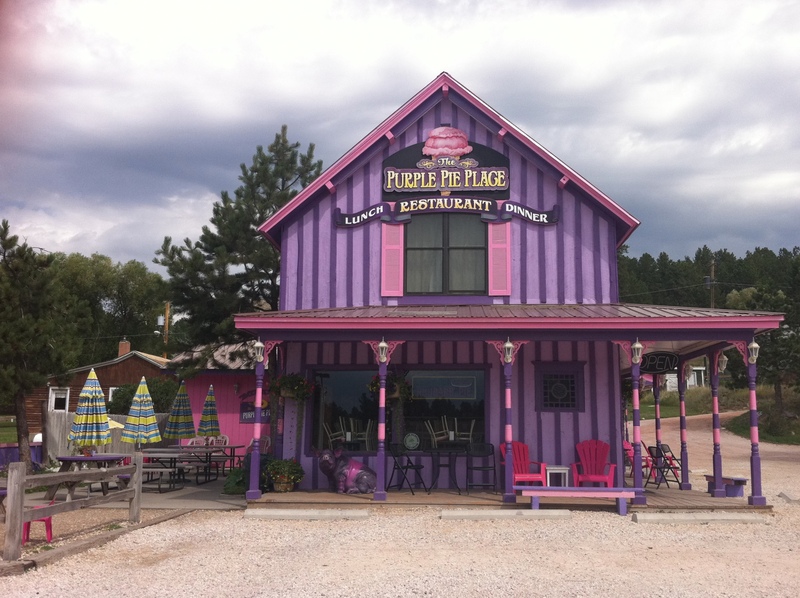 Fun names: Purple Pie Place and Gobblers Knob! 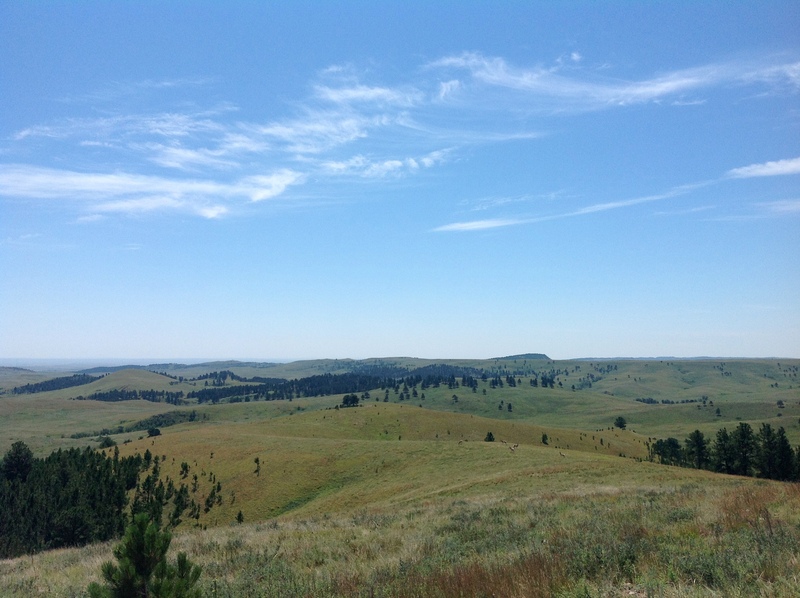 Love the shot of the bison – so iconic. Gobblers Knob made me think of a turkey. Have no idea how that name came about. Looks a wonderful place. Language always fascinates me and the idea of somewhere being called Gobbler’s Knob is mindblowing, If you’re in England speak low when you mention Gobbler’s Knob in a public place ! I want some pie! Your posts are telling me to “Go West!” Keep them coming. I love it! Ha ha, thanks! Your posts make me want to hop a plane to London. . . . These are great! You took all of these with the ipad? Thank you! Yes, the iPad was it.